Dear friends, we will organize on Saturday 17. 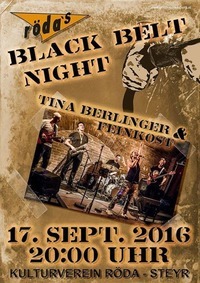 September a great BLACK BELT NIGHT with live music for everyone who joins the EGKF EC 2016 at the culture club RÖDA. Hope to see you there celebrating and dancing!